The ‘WAZ Award’ for hams began in 1934 and is now embraced by the Dx Adventure Radio Club (DA-RC) for our bustling community of whole-hearted 11m band DX Hunters. 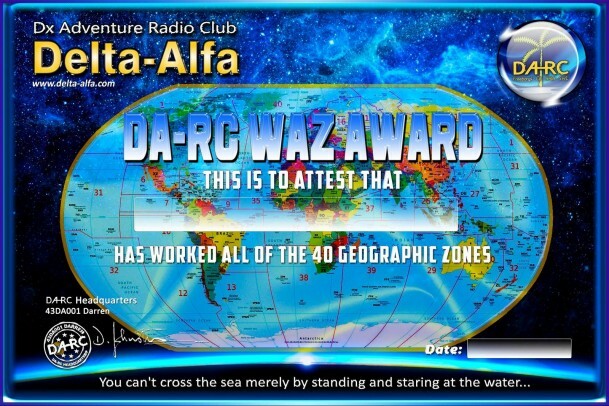 The new ‘DA-RC WAZ Award’ is an exceptional radio honour granted to those 11m band radio operators who’ve successfully complete two-way radio communications with other Freeband radio stations located in each of the 40 geographic (CQ) zones of the world (See below). This rare accolade is available to DA-RC members world-wide only, emailed as a PDF file upon verification, and is the perfect addition indeed for the radio shack mantel for any serious DX Hunter in the club. Like all DA-RC Awards in our club’s Achievement Program, the application process is stringent indeed to protect the integrity of the program. Evidence/Proofs, such as logs and QSL confirmation cards, is required to ensure all criteria are satisfied and applications are approved. 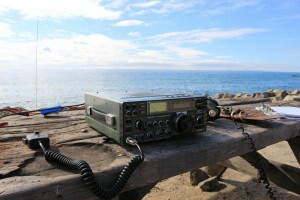 Simply send your log sheet, identifying stations worked and confirmed in all 40 of the CQ Zones, to DA-RC HQ.